I write this from an admittedly mild Dutch winter, watching #sydfest posts enviously from afar, looking back on recent works made in the Aussie heat whilst shivering from cold, and at the same time preparing to travel to possibly the world's hottest festival city, Adelaide. 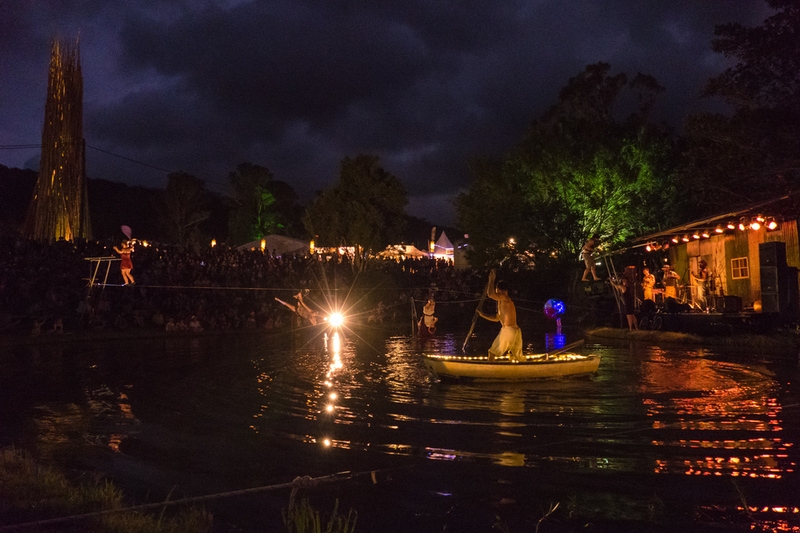 Company 2, Trent Arkwelder and I premiered 'Perched' at Woodford Folk Festival. 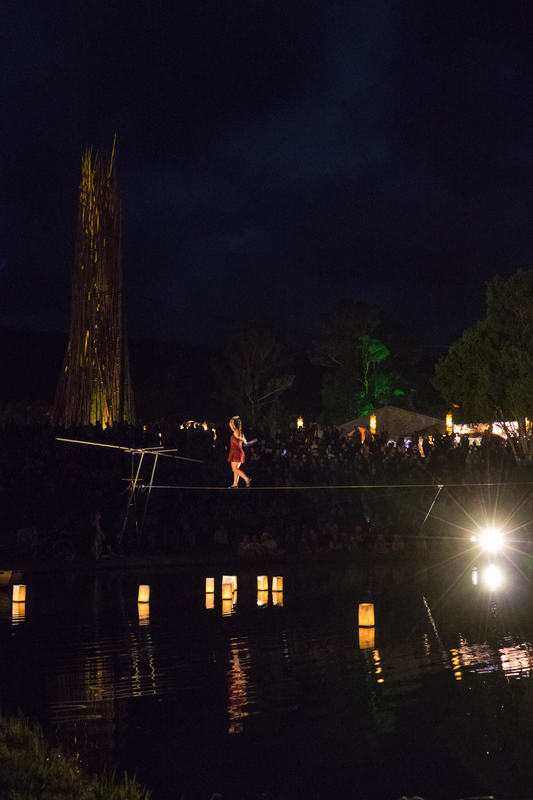 Designed and conceived by Chelsea and Dave from Company 2, Perched fully utilised the main pond area at Woodford, with high-wire acts, hand balancing, and stunning visual elements that took the audience through dusk into night. Trent is wonderful musicians whose previous work includes the show 'Cantina'. He and I worked together on the score, which saw us playing about 20 instruments between us over the course of the show. Steve Swayne has a great gallery of shots documenting the show over at flickr, you can preview a couple below. Prior to Perched Company 2 and the Uncanny Carnival Band launched my new score for 'Scotch & Soda' in a season at the Judith Wright Centre in Brisbane. Local reviewer Xanthe Coward said, "Company 2 and The Uncanny Carnival Band are some of the most genuine and generous entertainers I’ve seen up close. Their hearts and souls shine bright in this show." Scotch & Soda will be appearing in a limited season at the Adelaide Fringe Festival febraury 12-28th, as will the Vintage Quartestra performing our vintage-ised cartoon themes. Sydney-siders can catch the Splendid Six at Swing Dance Sydney on February 5th.